formerly served on the Lumberton ISD School Board from 2007-2010, where I helped spearhead the effort to defeat an unnecessary $28 million school bond that would have increased our property taxes by 24%. Why Do We Have Two Incumbents Running Against Each Other? 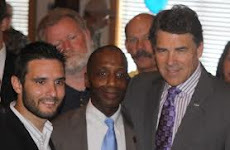 2009, and Joe Straus and his liberal Republican cronies used the opportunity to put themselves in power. conservatives supported, including many dealing with illegal immigration. Democrats. They called, wrote, emailed and generally begged the Republican delegation to oust Straus. James White represent us in Austin. with Mike's and are now supporting Hamilton as the hatchet man to run a good conservative out of office. since he is the incumbent of the old district. history of betraying the conservative cause, not the least of which is his support of Joe Straus. take my calls. This is not the behavior of a principled conservative. conservative rating, while Rep. White earned a 92%. Representative in the May 29th Republican Primary. P.S. - If we keep re­electing people who sell out our conservative principles, nothing is ever going to change for the better. Please take time to examine the issues and hold public officials like l\/like Hamilton accountable. I've spent quite a bit of time talking with James White, and I can tell you he is a true grassroots conservative. Hardin County values will be better represented in Austin by conservative Rep. James White than liberal Mike Hamilton.